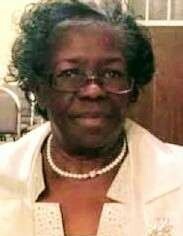 Evangelist Kathy DeLois Dublin McIver, 68, of Raleigh, NC departed this life Saturday, January 26, 2019. Funeral Service: 1:00 PM, Saturday, February 2, 2019 at Johnston Piney Grove Church, 1691 Barber Mill Road, Clayton, NC. Interment: Forest Hill Cemetery, Clayton, NC. Survivors: Son, Prophet Ernest L. McIver, Jr. (Lady Twanda); Brothers: Tyson Earl "Cuddy" Dublin, Raleigh, NC, Marvin "Toot" Dublin (Cheryl), Las Vegas, NV, Pastor Reginald Eugene Dublin (Saadia), New London, CT.